Earlier this year, I approached several Indie Untangled dyers and designers with an idea for an indie yarn club. My goal was to pair up dyer/designer teams and have them collaborate on a colorway and a single-skein pattern based on an overall theme. I tossed around many theme ideas (most of which revolved around food!) and settled on Where We Knit. This Friday, sign-ups will open for the inaugural Indie Untangled Yarn Club, a quarterly club that will begin shipping in February 2016! I am very excited about the four dyer/designer teams — Lakes Yarn and Fiber/Janina Kallio, French Market Fibers/Toby Roxane Barna, Skeinny Dipping/Stephannie Tallent and Magpie Fibers/Lara Smoot. You can read about their yarn and design inspirations here, where you’ll also be able to sign up on Friday. There are many exciting, and unexciting, places I take out my WIPs. In the warmer months, some of my favorite knitting spots are on a bench in Madison Square Park (which is where I was photographed for Humans of New York last year! ), on the roof of my apartment building looking out over the New York City skyline, or on a blanket in the grass, waiting for the start of an outdoor concert or movie. When it gets cold, I definitely do my fair share of couch knitting while binge-watching TV shows on Netflix. When I commuted to Connecticut for work, I always had my knitting on Metro-North. The dyers and designers participating in the club have come up with a wonderful mix of indoor and outdoor knitting spots (and yes, there is food, or at least beverages, represented). 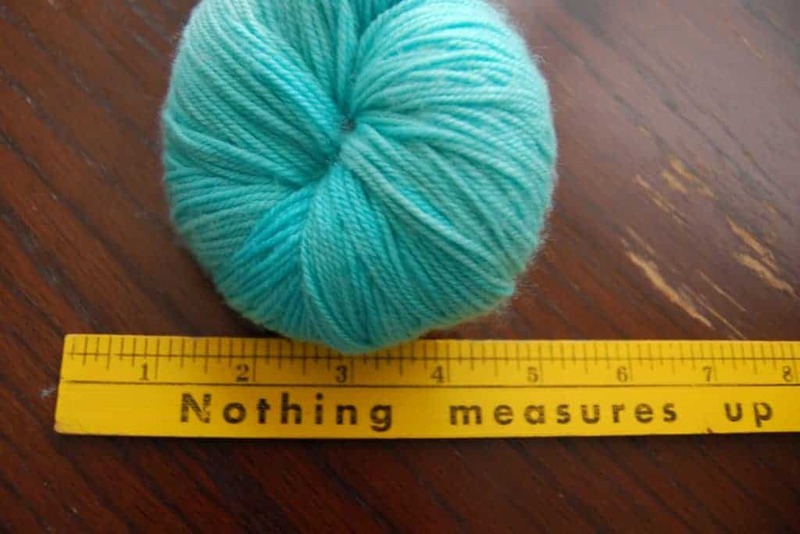 To celebrate the launch of the club, I am holding a blog hop based on the Where We Knit theme. If you have a blog, you can participate and enter to win one installment of your choice from the yarn club, or one installment free if you sign up (which I hope you do!). 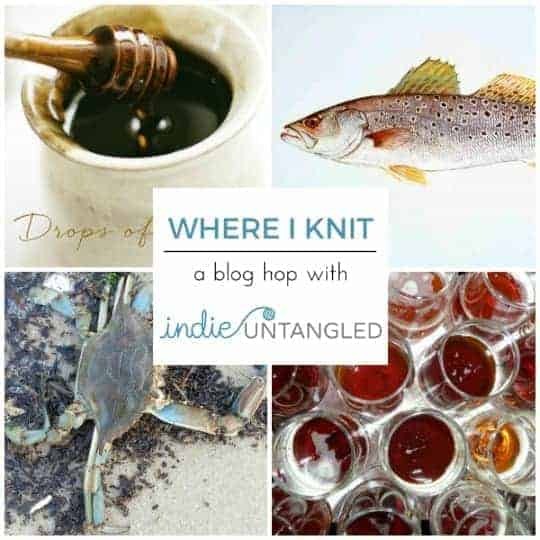 • Write a blog post describing your favorite place to knit OR the most unusual place you’ve ever brought your knitting. • Include this link to the page for the 2016 yarn club, as well as a short description of the club. • Run your post anytime Friday, Nov. 20 through Monday, Nov. 23. • Comment on this blog post with a link to your own post. You are also welcome, though not required, to use the above image. I’ll announce the winner on Nov. 24. I can’t wait to see where you knit! This entry was posted in Giveaway, Indie Untangled and tagged giveaway, indies, knitting, patterns, yarn, yarn club. I live at the end of a cove on a lake. I knit with my two labs in my adirondack chair overlooking the lake and wildlife. Here’s my blog hop post!